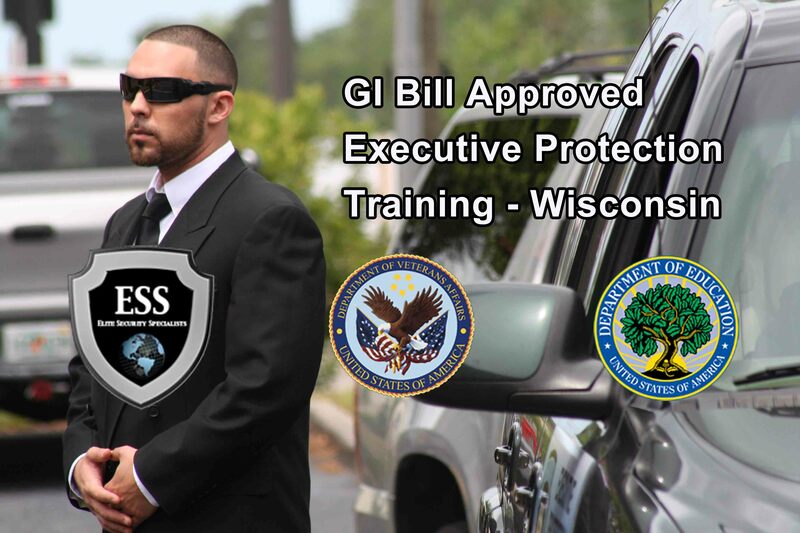 GI Bill Approved Executive Protection Training - Wisconsin - ESS Global is the only VA and D.O.E Approved Security School on the east coast. 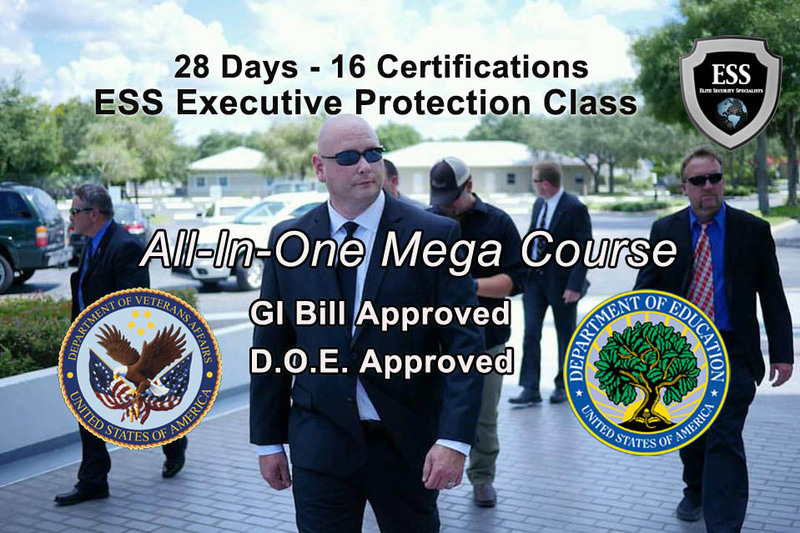 GI Bill Approved Close Protection Training - Wisconsin - Sometimes referred to as close protection or bodyguarding and more accurately as executive protection, ESS Global offers the most complete executive protection training available anywhere with our 28-day Mega All-in-One Course. In addition to being certified by both the VA and the D.O.E., ESS Global, with security operations in over 60 countries, provides the most relevant close protection training available in the U.S. The 28-Day Mega Executive Protection Training Course is the very best training needed to be effective in the growing close protection industry. And by using your GI Bill Benefits, you can transition your military experience into a successful civilian career in high-end security and executive protection. 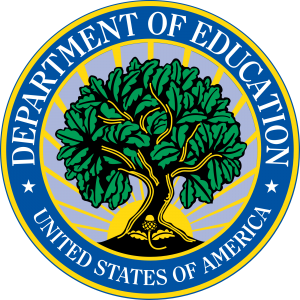 Posted in ESS Global Corp, news, school, training, updates and tagged executive protection training wisconsin, gi bill approved bodyguard training wisconsin, gi bill approved close protection training wisconsin, gi bill approved executive protection training wisconsin.